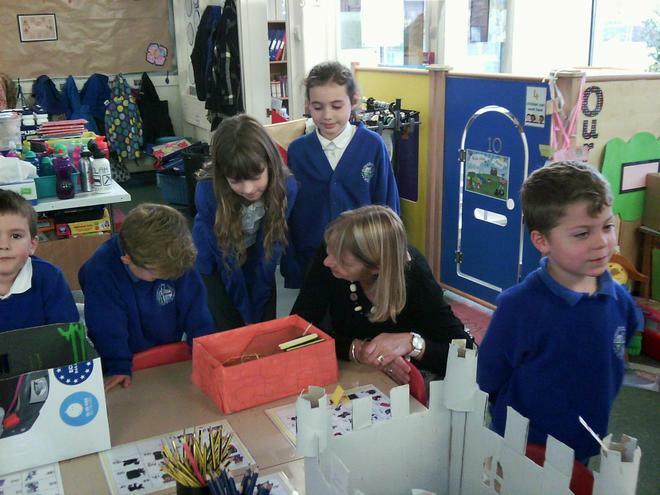 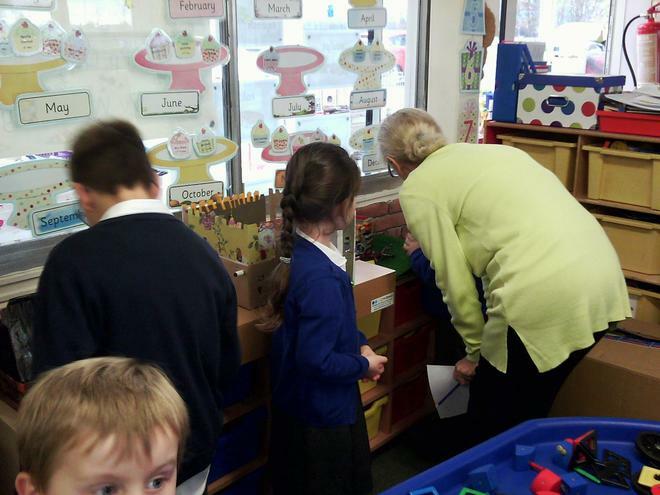 For our castle finale the children from Class 3, Mr Smith, Mrs Baines, Mrs Bradley and Mrs Hayes came to have a look at all our hard work. 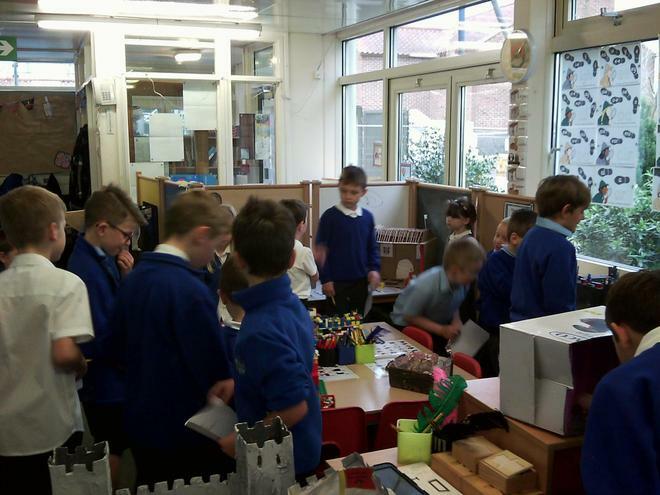 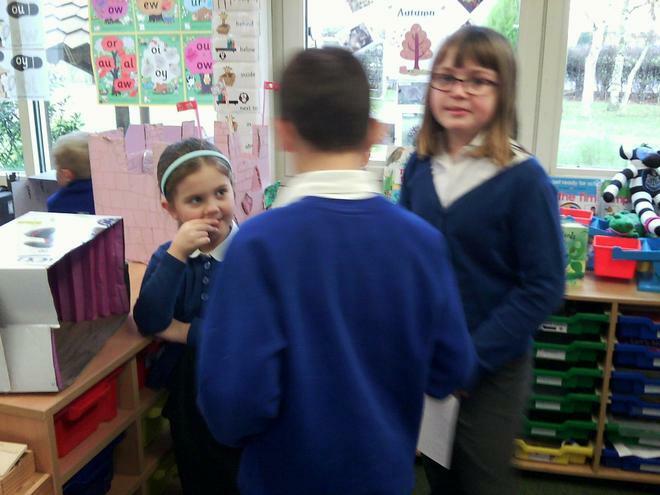 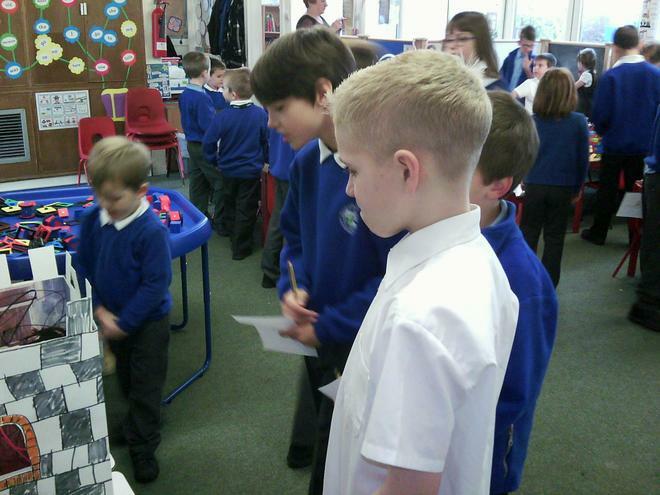 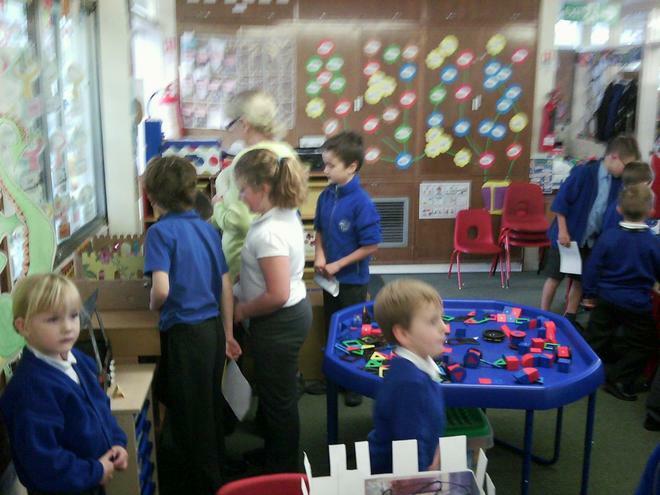 The year 4 children asked us lots of questions before choosing the castle they thought was the best one. 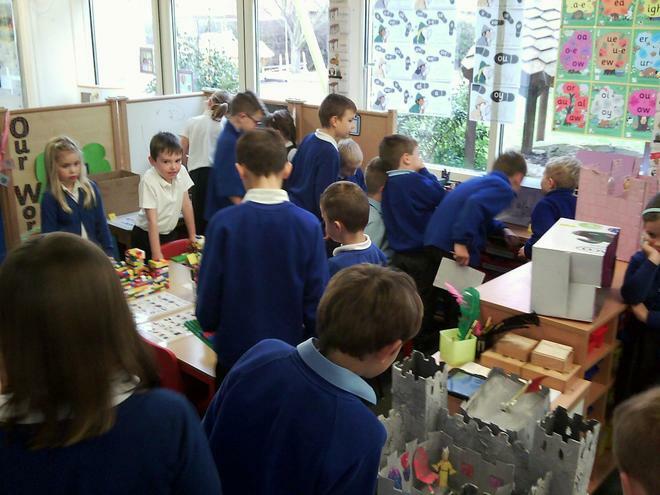 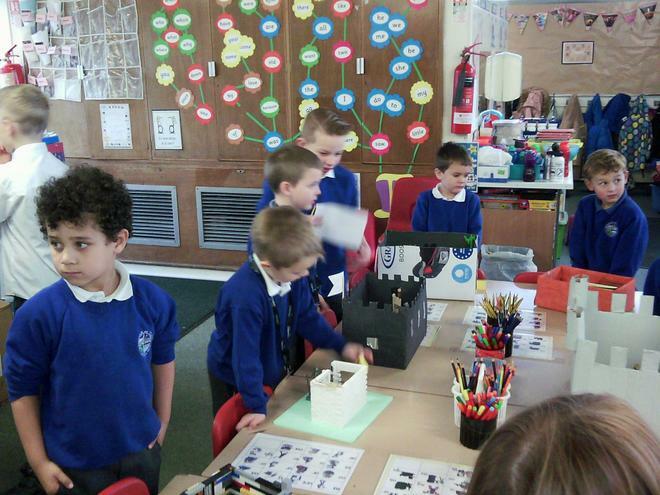 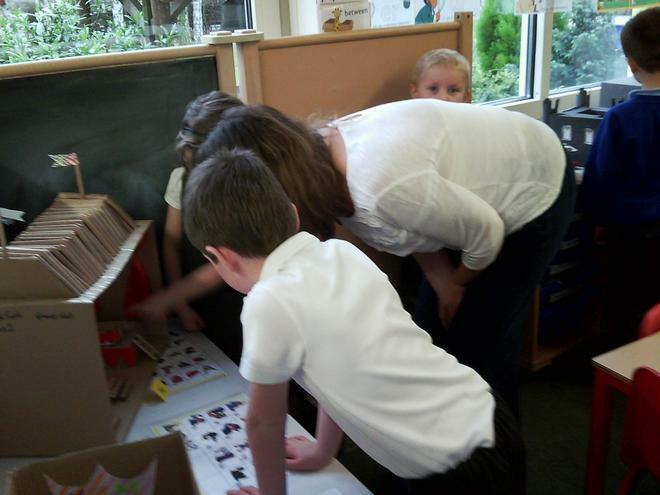 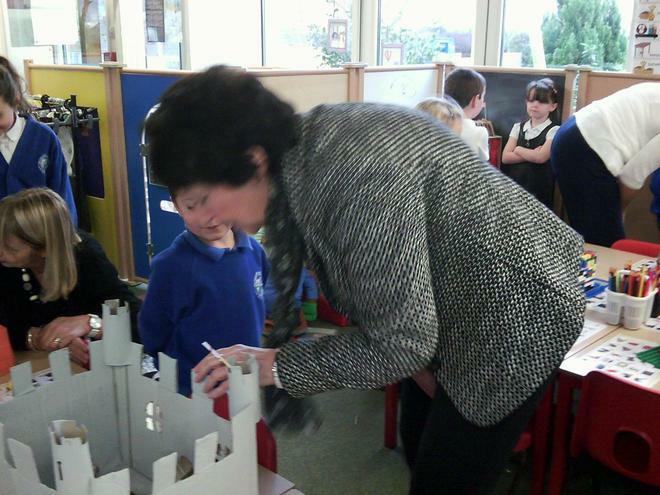 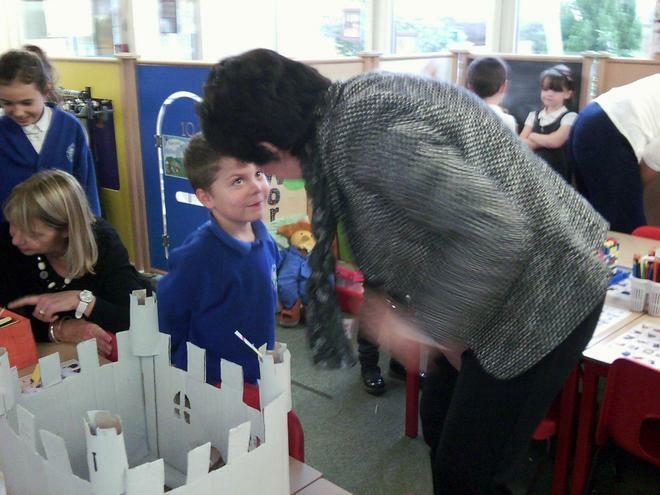 We had lots of fun showing our castles and making them.